Carpet & Floors Market is going Green by offering environmentally friendly flooring! Mohawk ColorCenters offer a majority selection of the finest products that Mohawk , Shaw, Beaulieu, Mannington, Armstrong, Florida Tile, DalTile, Mirage, TeraGren, EcoFloors, Congoleum AND....manufactures and sells. Consumers desiring the best in selection and quality for their homes are able to fill all their flooring needs at one place. Carpet & Floors Market offers premier and comprehensive selections of flooring options in carpet, hardwood, laminate, ceramic / Porcelain tiles, resilient and Luxury Vinyl Tiles, area rugs, Runners, Cork Floor, Bamboo Floors, Railing System And much more! 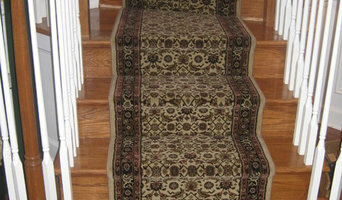 Carpet & Floors Market is prepared to handle special orders and custom needs. Come in to see us soon! Carpet Palace & Flooring Center of Rockville, MD, with 12,000 square feet showroom and warehouse, is strategically located flooring store in Washington DC Metro area. We have been here since 1971 and boast of a large clientele. Not only we excel in selling the best floors, but also specialize in installing them professionally. 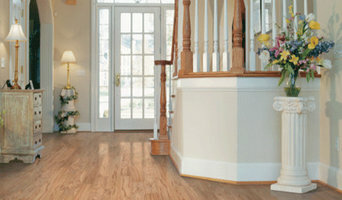 This is the major difference between our store and other flooring dealers in Washington DC Metro area. Proper installation is crucial because it enhances the beauty and efficacy of the floor. For instance, proper layout and stretch of carpet helps increasing its longevity and prevents the need of frequent repairs. 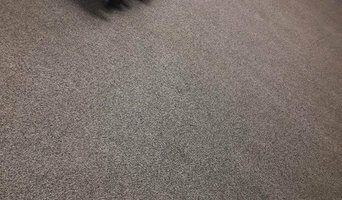 The most common problem in carpet installation is posed by seams or joints. Carelessly dealt seams spoil the pattern of the carpet and also leave sharp ends open. Family owned and operated, All Wood Flooring has a long tradition of treating clients with the care, attention, and service that only a family business can truly provide. From the free estimates we offer to the ongoing support and assistance we provide past customers, our business model has been clearly designed with the customer’s satisfaction in mind. Our history of excellence has allowed us to build an impressive list of past clients; in connection with Lumber Liquidators, we have installed flooring for Donald Trump, Redskins FedEx Stadium, and design projects on TV’s This Old House and Design Star. We work to bring the highest level of quality and service to every project we start, no matter who the client is. That’s because at All Wood Flooring, we know that no matter how many satisfied clients we have in our past, we must still treat each new customer as though they are our only customer. Stand By Flooring, Inc. is a complete flooring contractor specializing in Hardwood Floors. Stand By is proud to be a family owned and operated company with 50 years of combined floor covering experience. Stand By offers fast, friendly and courteous service. Honesty, Integrity & Satisfaction are the core of our company which is based upon our family values. We use only the best products & equipment. We do not sub contract our work and maintain a uniformed skilled staff. Whether you are looking for a brand new wood, tile, carpet or you need to refinish or repair your existing floor or staircase Stand By Flooring will bring it's expert and innovative approach to your home or business. Let Stand By Flooring beautify your home with custom Stair Cases and Railings. We are a fully licensed and insured residential and commercial flooring company based in Ashburn, VA specializing in design & installation of flooring and wall surfaces including ceramic and porcelain tile, hardwood, luxury vinyl, VCT, carpet and GREEN flooring products. We make sure that our project managers and technicians are well trained and certified in the flooring industry. Each technician follows manufacturer installation procedures and each project manager works closely with the customer and technician for guaranteed satisfaction. Because we take great care of the details in each of our projects, and take pride in our craftsmanship, we guarantee all of our work so that the customer may have peace of mind for years to come. Our qualified experience has led us to work with professional architects, home builders, building engineers, designers, realtors, remodelers, interior designers and hundreds of homeowners in Northern Virginia. Mike’s Flooring is a family-owned and operated business. We have been installing floors since 1988 and have installed flooring in more than 750,000 apartments and homes throughout the East Coast. We specialize in servicing apartment owners and property management companies requiring replacement products for existing units, re-hab construction as well as new multi-family construction. We value most our relationships that have grown throughout the years. We work closely with several large commercial contractors in different metropolitan cities. Siena provides quality flooring designs and introduces what's next and new in flooring design from manufacturers who exhibit ingenuity and uniqueness. Our curated collection upholds quality and integrity— while introducing the best flooring solutions inspired by nature. Floor Coverings International of Woodbridge understands that each home is special, and therefore requires attention to detail. Our focus is paying close attention to detail when it comes to your floors. Whether it's carpeting, hardwood floors, tile, or any of the other options we offer, we carefully treat each design as a custom project. Our mobile showroom will bring a wide selection of floors to your home and make choosing the right product an easy process. We carry a large selection of products so that you don't have to waste time going back and forth between showrooms. I’d love to offer you a free in-home estimate to discuss your specific needs and to give you the most accurate quote for your job.